Terry Jerry A'wase, Concept Director, A'DOO CAM CO. According to 2017 Corruption Perceptions Index, the ranking Nigeria got was 148th, with the score of 27, showing there is still a lot of room for improvement and the need of a lasting social change. Whilst people might not listen to the voice of others, pictures do speak to people and can create subconscious influence. Terry mentioned that not only a picture could speak a thousand words, he also saw a picture that led to 10,000 comments and a million views, the greater influence that it achieved. The project aims to create and imprint a lasting social change through these images that are going to be shared with the public. The corruption mentality fuels corruption; actions or inactions has led to the failure in social responsibilities and leadership. What difference could this project make? Terry will lead a selection of 10 photographers, artists, and graphic designers to create the 100 pictures of change. These pictures will be promoted on social media through a campaign for a hundred days circle to raise public awareness and to push for a positive change and a possible corruption free life in Nigeria. The same pictures will also be exhibited in cooperation with other organisations that work together for this campaign. The project aims to inspire changes and to reduce corruption in Nigeria. 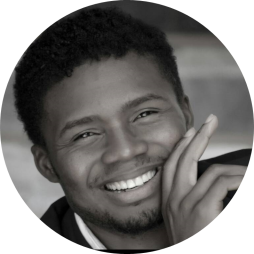 Terry Jerry A’wase is the founder and the head of A’DOO Creativity Arts Media company, a company into film and content productions, training, and equipping filmmakers and entrepreneurs. Through this A’wase has created jobs and impacted over 300 youths especially females in North Central Nigeria in 8 years. With strategic alliances and volunteering, he has experienced filmmaking across 18 countries. He received awards honors and recognition from the film society, the president of Nigeria, and International organisations like the World Bank and others. Making films and digital contents that inspire and lead social, economic, and political changes are his motivations. Follow A’DOO CAM CO. on Facebook, Twitter, and Instagram.